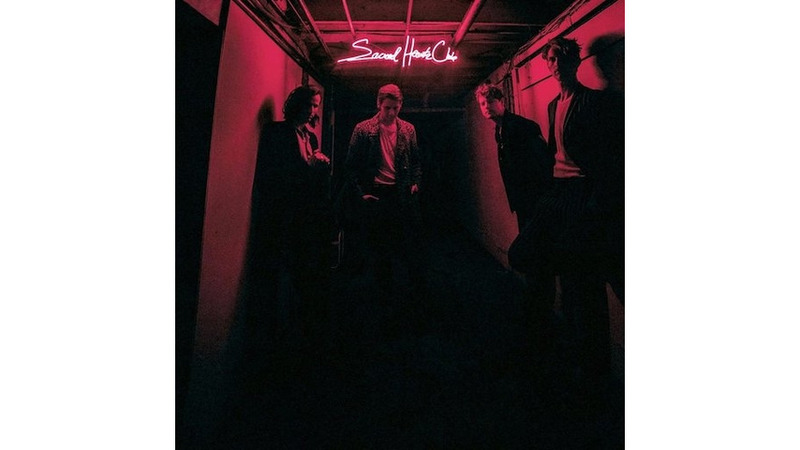 Indie-pop outfit Foster the People’s third record, Sacred Hearts Club, is a mesmerizing journey that expounds on the ideas initially laid out on 2011’s Torches. It takes a step forward from the disappointingly bland Supermodel from 2014 by incorporating new sounds to give a sense of invigorating evolution, instead of sputtering out like a jaded band weary from the musical grind. Instrumentally speaking, Sacred Hearts Club relies heavily on its rhythmic components such as trap beats and and a groove-focused impetus, previously unexplored territory for the band. These hip-hop influences aren’t lazily integrated into the mix, either. The album’s production feels slick, thought out and detailed. The vocal echoes of “Loyal Like Sid & Nancy,” the erratic drum pattern of “Doing it for the Money” and the spacey, swung synths in “Static Space Lover” all lend the album a more nuanced atmosphere. Foster the People’s debut album, Torches, was similar in this respect. It was filled with tickling synths and playful vocal manipulation that provided a crucial, supportive layer to the whole experience. Sacred Hearts Club accomplishes the same goal, but in a largely different manner. Although playful and bubbly at times, the record has a darker side that shows that the band has matured and flourished since their arrival. This isn’t to say that Torches was light-hearted (“Pumped Up Kicks” was about a school shooting), but the instrumentation this time around embraces a more foreboding sentiment than its predecessors. This previously uncharted territory and attention to detail can come across as bold and daring, but that’s the best part of the album. Sacred Hearts Club is, then, the most fearless Foster the People record yet. Opener “Pay the Man” draws the listener in with blaring horn samples, which are shortly followed by the spirited tone of vocalist Mark Foster’s lyrical curiosity. Lead single “Doing it for the Money” is also a musical highlight. Although it definitely feels like a calculated single (as most singles are), it’s intricate enough that its overt repetition is more welcome than a nuisance. The primary downside comes from the two unnecessary, one-minute interludes, “Orange Dream” and “Time to Get Closer.” Their reason for being on the album is clear, as they are meant to tie the record together and provide cohesion. However, they feel monotonous and Sacred Hearts Club would be better without them. “Time to Get Closer,” in particular, feels like an unfinished thought that didn’t come to proper realization. The ups and downs of Sacred Hearts Club extends to the lyrics as well. The LP maintains a sense of lyrical fluidity, revolving around themes of optimism and positivity, until “Lotus Eater,” which seems to address the invasive character of addiction. The lyrics are interesting on their own, but they don’t quite fit with the hopeful makeup of the rest of the album. “Loyal Like Sid & Nancy” faces the same problem. Foster discusses how the devil is constantly haunting him and references several tragic personalities throughout the track. Individually speaking, it is one the lyrical highlights of the album. Foster’s dismal allusions to The Great Gatsby and Daniel Johnston are clever, yet it strays from the collective sanguinity of the rest of the album. Despite those handful of flaws, Sacred Hearts Club is an enjoyable listen. It explores a variety of styles, as shown by hip-hop-inspired “Pay the Man,” the subtly funky “Sit Next to Me” and the “post-Oracular” MGMT-esque track “Lotus Flower.” It’s a dauntless album that boldly demonstrates its ability to successfully cross stylistic boundaries.